Al-Qaeda understands the importance another attack on the United States would mean for its movement. The importance of such a strike cannot be overstated. For Islamist extremist groups, 9/11 was the "shot heard around the world." Al-Qaeda looks to capitalize on this attack to further undermine and challenge western ideals and the United States position as a world power. In addition, successful attacks against Western countries aid its recruiting and ensure financial support by keeping al-Qaedas message relevant and in the news. AI-Qaeda uses these attacks in its propaganda to show disempowered and rudderless youth throughout the Middle East that they too can strike a powerful blow for the global Jihad. Although there has not been a successful al-Qaeda attack in the United States since 2001, there is corroborated information that al-Qaeda continues to plan attacks, in particular against the U.S. homeland. On October 6, 2005, President Bush reported that the United States has helped disrupt ten al-Qaeda attacks since 2001, including three attacks against targets inside the United States.19 One of the disrupted plots was devised by Khalid Sheikh Mohammad (KSM), the mastermind of the 9/11 attacks. KSM's plan involved flying a hijacked plane into a target in California.20 Interrogations of KSM in July 2003 indicate that there were at least two potential attackers: Abderraouf Jdey (a.k.a Faruq al-Tunisi) and Zaini Zakaria (a.k.a Mussa). This plot most likely was part of KSM's plan to carry out a "second wave" of attacks after September 11, 2001. The Committee is aware of other credible plans by al-Qaeda members to attack the United States, but cannot discuss these plans in an unclassified report. The disruption of these plots, the President reminded America, "means the enemy is wounded, but the enemy is still capable of global operations"21 Where the American public tends to have a relatively short time horizon and want results right away, al-Qaeda has never lacked patience in both the operational planning and execution of its attacks. Recall, for example, that the first, moderately successful al-Qaeda-associated attack against the World Trade Center (WTC) occurred in 1993. Rather than an immediate second attempt, al-Qaeda waited almost a decade before striking the U.S. homeland again. 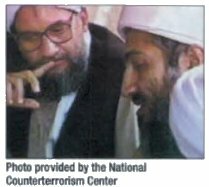 Even after Khalid Sheik Mohammed formulated the plan in 1998, al-Qaeda leaders were willing to wait patiently as operatives received the necessary training and resources. The United States cannot afford to assume that the absence of another terrorist act means al-Qaeda has lost either the will or the ability to attack-terrorist operatives might simply be in the planning phase of their next strike. So long as al-Qaeda is capable of hitting the United States, it may look to carry out another "spectacular" attack of 9/11 proportions. Past threat alerts suggest al-Qaeda may favor attacks that meet certain criteria, including high symbolic value, mass casualties, severe damage to the U.S. economy and maximum psychological trauma.22 However, a battered and weakened al-Qaeda, new counterterrorism laws, and heightened security at our borders and ports of entry have made it more difficult for al-Qaedas core elements to carry out a large-scale attack. As a result, there are ongoing discussions of what al-Qaeda's leadership considers "spectacular." Today, target vulnerability and likelihood of success may be as important to al-Qaeda as the target's prominence.23 Major subway systems, nuclear plants, and national landmarks could be attractive targets if they are perceived as "soft" Regardless of the target, any plan by al-Qaeda will look to achieve at least one of the following: mass casualties, damage to the U.S. economy and maximum psychological trauma on the American public. If for nothing else, another attack against the United States or our allies would help the group to recruit new supporters. Islamist extremist groups use terrorist attacks to propagate the organization's ideology among its supporters and potential recruits. If al-Qaeda can no longer effectively recruit supporters from around the world, it will cease to exist as the dangerous network that we know today. Any successful attack with weapons of mass destruction (chemical, biological, or nuclear) would, in addition to causing mass casualties, have an impact on both the U.S. psyche and the U.S. economy. As an example, the still unsolved anthrax attacks that occurred in the wake of 9/11 produced only a limited number of deaths, but disrupted mail and sowed fear throughout the country. 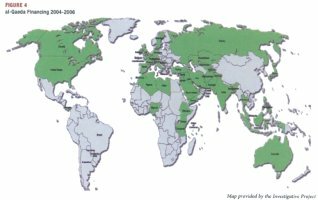 There is a detailed public record of al-Qaeda's interest in obtaining chemical and biological weapons. According to the National Commission on Terrorist Attacks Upon the United States, also known as the 9/11 Commission, al-Qaeda sought to obtain nuclear, chemical and biological weapons and "remains interested in using a radiological dispersal or dirty bomb, a conventional explosive designed to spread radioactive material. 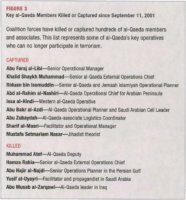 "25 In addition, in 2004, then-Director of the Central Intelligence Agency George Tenet warned Congress that "al-Qaeda's effort to produce deadly anthrax is one of the most immediate terrorist threats"26 There is little doubt that if Usama bin Laden were successful in acquiring WMD, he would use these weapons against the West. 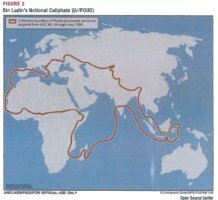 Prior to September 11, 2001 al-Qaeda built a vast, sophisticated and elusive network to raise money to support itself, terrorist operations and its supporters around the world. Trailing Usama bin Laden's funds was complicated and al-Qaeda was able to move money around the world without compromising its security and secrecy. One reason it was so difficult to track terrorist finances was because Usama hin Laden preferred not to operate with banks that charged interest since usury is prohibited by the Koran. Al-Qaeda did, however, use banks that operate according to Islamic principles, such as the Dubai Islamic Bank in the United Arab Emirates (it was not until after September 11, 2001 that the United Arab Emirates enforced tighter restrictions on its banking system). In addition, al-Qaeda relies on couriers and the venerable hawala system of interlocking money changers-it would not be uncommon for money to switch hands several times before the delivery reached its final destination.27 The result was a layered system that kept the United States in the dark, unable to determine how, and more importantly to whom, al-Qaeda was providing funds. The CIA estimates that al-Qaeda spent about $30 million a year to sustain its activities.28 Contrary to popular belief, Usama bin Laden did not use his personal wealth that he inherited from the Bin Laden construction company when his father passed away. Instead, al-Qaeda's activities were supported largely through various fundraising efforts worldwide, including contributions from mosques, non-governmental organizations, the Internet, wealthy donors and charitable foundations. It is difficult to determine how much funding has been channeled from the United States to al-Qaeda. Members, of the Intelligence Community have reported, and we have no reason to believe otherwise, that al-Qaeda has not used the United States as a primary source of its funding. 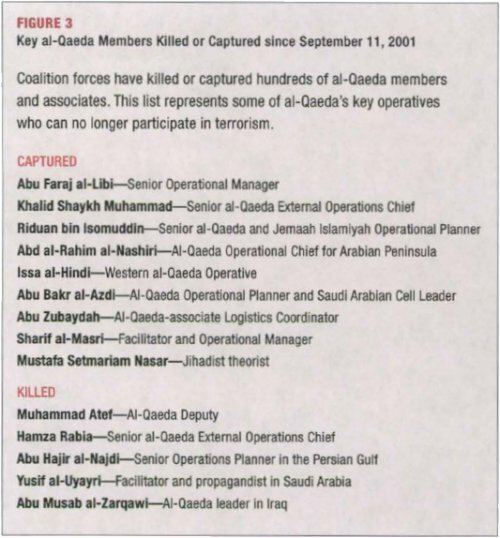 Still, intelligence experts agree that the funding to al-Qaeda amounts to much less than is raised by other terrorist groups, such as Hamas and Hezbollah.29 We will look at some U.S.-hased charities with links to al-Qaeda later in this report. Since September 11, 2001, al-Qaeda's fundraising network has been damaged by new laws and increased efforts to disrupt the international terror finance network. However, terrorism does not require a huge sum of money. The estimated cost of the bomb used to attack the World Trade Center in 1993 was $3,000. This attack killed six people, injured a thousand more, and caused more than a half a billion dollars in damage. Further, estimates suggest the terrorist attacks on September 11, 2001 cost somewhere from $200,000 to $500,000.30 This amount of money can easily be raised from al-Qaeda supporters and sympathizers around the world (See Figure 4 on page 11). 12 "Who Wages Terror and Jihad: Pros and Cons of Frequently Used Terms" DCI Counterterrorist Center and Political Islam Strategic Analysis Program. May 31, 2005. 13 According to the recent Gallup Organization World Poll, only 8% of Muslims consider themselves to be militant or sympathetic to militant activity. 14 Michael Scott Doran, "Somebody Else's Civil War" Foreign Affairs, January/February 2002. 15 "Pakistan Interviews Usama Bin Laden," (Islamabad. Pakistan), Mar. 18, 1997; see also CRS Report RL32759, Al-Qaeda: Statements and Evolving Ideology by Christoph M. Blanchard, p. 3. 16 "Website Publishes Bin Laden 'Speech'" Internet Supporters of Shariah, June 22, 2000; and 'Al Jazirah Program on Bin Laden" Al Jarirah Television (doha, Qatar), June 10, 1999. 17 Director of National Intelligence John D. Negroponte, "Annual Threat Assessment of the Director of National Intelligence," Statement before the Senate Select Committee on Intelligence, February 2, 2006. 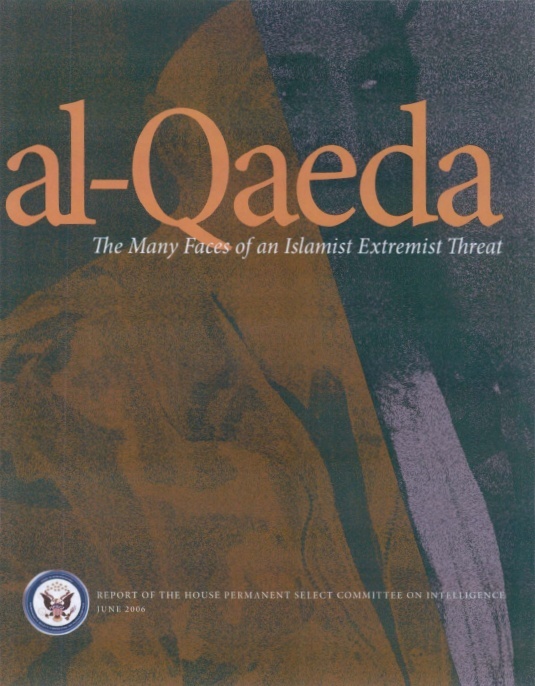 18 James Phillips, "The Evolving Al-Qaeda Threat," The Heritage Foundation, March 17, 2006. 19 President George W. Bush, "President Discusses War on Terror at National Endowment for Democracy" October 6, 2005. 20 Peter Baker and Susan B. Glasser, "Bush says 10 Plots by al-Qaeda Were Foiled," Washington Post, October 7, 2005. 21 President George W. Bush, "President Discusses War on Terror at National Endowment for Democracy," October 6, 2005. 24 Rahimullah Yusufai, "Wrath of God: Osama bin Laden Lashes Out Against the West," Time, January 11, 1999. 25 The National Commission on Terrorist Attacks Upon the United States, Twelth Public Hearing, June 16. 2004. 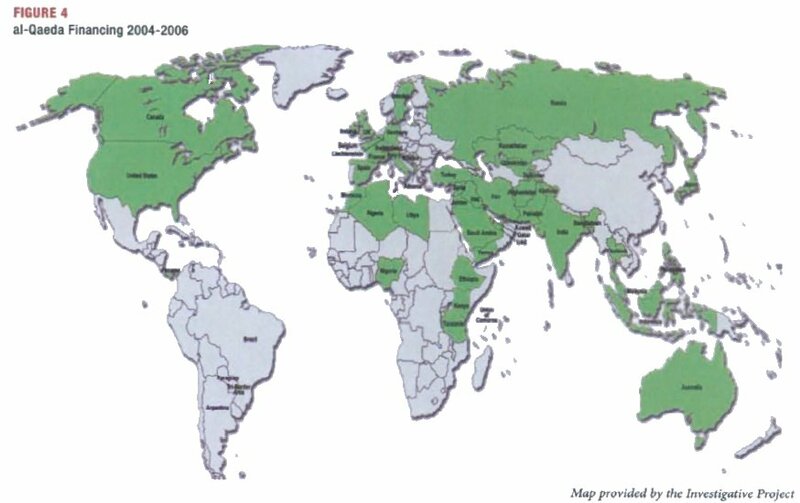 26 Director of the CIA George Tenet, "The Worldwide Threat 2004: Challenges in a Changing Global Context," Testimony before the Senate Armed Services Committee, February 2004. 27 Peter L. Bergen, Holy War Inc. Inside the Secret World of Osama bin Laden, The Free Press, 2001, p. 103-104. 28 The National Commission on Terrorist Attacks Upon the United States, Staff Monographs, "Al-Qaeda's Means and Methods to Raise, Move, and Use Money," August 21, 2004. 29 The National Commission on Terrorist Attacks Upon the United States, Staff Monographs, "Al-Qaeda's Means and Methods to Raise, Move, and Use Money," August 21, 2004. 30 Peter L. Bergen, Holy War Inc. Inside the Secret World of Osama bin Laden, The Free Press, 2001, p. 104.